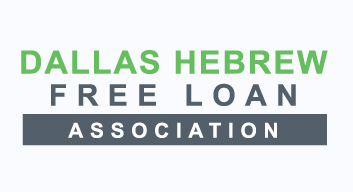 The Dallas Hebrew Free Loan Association’s motto is “a hand-up, not a handout.” The organization has stayed true to this ideal since its founding in 1935. The association currently has nearly $1 million in loans out in the community and hopes to double that amount in the next few years, according to the organization’s new director of development, Suzanne Luftig. The association provides interest-free loans ranging from $500 to $25,000. Newly installed Board President Helen Waldman explained that the premise for Hebrew Free Loan Associations can be found in Shemot 22:24, which commands Jewish people not to charge interest on loans or act as creditors. The Torah portion where this can be found, Parashat Mishpatim, will be read in synagogues across the Metroplex this Shabbat morning, Feb. 2. Luftig explained that donating to the association fulfills the mitzvah of lending with no interest, as well as fulfilling the obligation for every Jew to donate to at least one free loan fund in their community. Waldman said the money lent to borrowers is not a donation, but rather a helping hand to those in need in the Jewish community. That loan, once repaid, will then be used to help others. DHFLA programs include loans for adoption, infertility treatments, higher education, emergency funding, general assistance, health care, Jewish heritage loans and loans for special needs treatment including therapeutic, adaptive and health care related costs. During the recent government shutdown, the free loan association lent $7,500 to Rob and Freya McKenna, who are employed by the federal government. Waldman was proud that DHFLA was able to offer a loan to furloughed workers. “Those are the types of things we want to be here for — emergencies,” she said. The majority of the organization’s current loan portfolio are those contributing to higher education. The association offers consolidation loans, in which the organization pays the borrower’s student loans up to $25,000, and the borrower subsequently pays back DHFLA without interest. The organization also offers loans for students currently in college for up to eight semesters. The association’s Jewish heritage loans are especially unique. They provide funds for those in the Jewish community who are becoming more attuned to their Jewish roots but can’t necessarily afford the costs that come with that commitment, according to DHFLA’s website. Luftig explained the heritage loans can be used toward programs such as Birthright trips to Israel, bar and bat mitzvah expenses and the purchase of a tallit and tefillin. The goal of DHFLA is “to be there for our fellow Jews in times of need and help them accomplish their goals in a respectful way so we can help the Dallas Jewish community help themselves,” Luftig said. DHFLA is operated primarily by volunteer members of the Dallas-area Jewish community and is funded through tax-deductible memberships and donations. The organization’s hope for the future is to double its investment capital so that more loans can be granted to help members of the Jewish community thrive, Luftig said. DHFLA is a membership organization in which members pay $36 annually to support the organization and all its efforts. Luftig added that DHFLA is “infusing the organization with new energy” through a new president of the board, newly installed board members and the addition of her position as director of development. Anyone who would like to donate to DHFLA or become a member can visit the website at dhfla.org or call the office at 214-696-8008. Proud to help others in need.